This was one of the most controversial acts of the 1850 compromise and heightened Northern fears of a 'slave power conspiracy'. It declared that all runaway slaves be brought back to their masters. 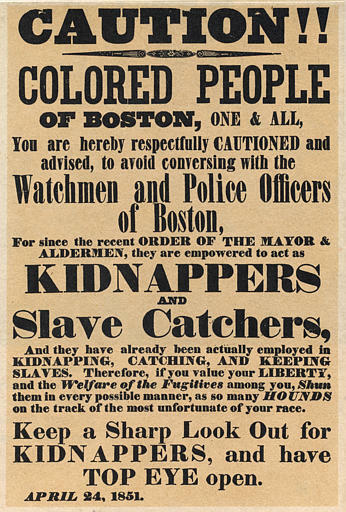 In 1850 Congress passed the Fugitive Slave Law. Only John P. Hale, Charles Sumner, Salmon Chase and Benjamin Wade voted against the measure. The law stated that in future any federal marshal who did not arrest an alleged runaway slave could be fined $1,000. People suspected of being a runaway slave could be arrested without warrant and turned over to a claimant on nothing more than his sworn testimony of ownership. A suspected black slave could not ask for a jury trial nor testify on his or her behalf.